It’s been a long time since cosmetic surgery procedures were considered strictly a woman thing. Men want, and need, to look good. It’s about looking young and fit to stay competitive in the job market and social situations. They are turning to cosmetic surgeons for help. And the number keeps rising, up a whopping 325 percent since 1997. That’s what accounts for the fact that men elected to have more than 1.2 million cosmetic procedures in just a single year, 2015. Here is a look at the top 5 procedures requested by men. More than 50,000 men had fat removed through liposuction in 2015. With this procedure, the surgeon reduces the amount of fat in specific areas, like around the hips or in the belly. 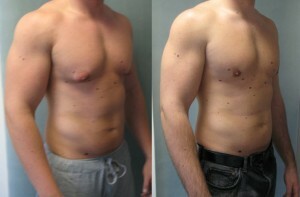 He uses precision suction equipment and tiny tubes to remove fat deposits under the skin. As a rule, this does not require general anesthetic or an overnight stay in the hospital. That’s only needed if a large amount of fat is taken out. Recovery time is a few days to a few weeks, depending on the amount of work done. Men chose rhinoplasty, or nose surgery, over 30,000 times in 2015. Changing the shape of the nose and removing irregularities is one of the oldest forms of cosmetic surgery. Modern cosmetic surgeons using the newest methods can sculpt the nose so it looks natural and proportional to the face. Either general or local anesthesia is used, depending on the needs of the patient, but an overnight stay in the hospital isn’t required. After rhinoplasty, men experience swelling and often bruising around the eyes for several days. In 2015, more than 30,000 men in the U.S. had eyelid surgery. When done by an experienced surgeon, this procedure reduces bags under the eye and too much skin above it. Not only does it make a person look healthier and younger, it can also improve eyesight. The surgery takes about two hours, using local anesthetic. For one to two weeks, there are signs of bruising and some swelling. Women want bigger breasts, but men want to reduce them. More than 30,000 men had male breast reduction done in 2015. Large breasts are embarrassing on a male, the result of too much estrogen or too little testosterone. The surgery lasts up to two hours, using either general or local anesthesia. The cosmetic surgeon can use two approaches: liposuction to get rid of excess fat or excision to remove glandular tissue or skin, or a mix of the two. Most activities, like going back to work, can be done within a week. Men can return to exercise and other vigorous activity after three weeks. In the U.S., more than 13,000 men had a facelift in 2015. This is an involved procedure that requires attention to detail and experience. The surgeon lifts and re-contours the underlying muscles and skin, giving the face a more youthful appearance. Recovery times vary. The surgeon and the patient decide what type of anesthesia is most appropriate. Adam G. Tattelbaum, M.D. 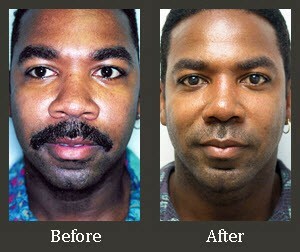 has been helping men in the McLean-Annapolis-Rockville area achieve a more youthful look for many years. He has earned a reputation for really listening to the needs of each patient. He knows that every patient is different, with his own goals and needs. That’s why the doctor places so much emphasis on learning what the patient expects. Together they come up with a realistic, customized plan. Dr. Tattelbaum is double-board certified Maryland Plastic Surgeon, he is certified by both the American Board of Plastic Surgery and the American Board of Surgery. He is a member of both the American Society of Plastic Surgeons and the elite American Society for Aesthetic Plastic Surgery. He trained at Mount Sinai Medical Center and Georgetown and Harvard Universities. He is now a member of the clinical faculty at Georgetown. His work has been recognized by the Consumer Research Council of America in its America’s Top Surgeons list. Call Dr. Tattelbaum’s office today for more information about your cosmetic procedure.